Mrs. Hunter is our Country Day School librarian. She is very familiar with the school, as two of her three children have attended RHCDS for three years. She is looking forward to being part of a dynamic community of educators and learners. 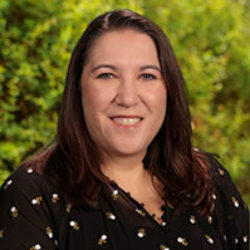 A native of Orinda, California, Mrs. Hunter earned her Bachelors degree from UC San Diego and her Masters degree in Educational Counseling from Loyola Marymount University before commencing a teaching career of 8 years. When not at the library, Mrs. Hunter participates in Sandpipers and enjoys reading, traveling, swimming and going to the beach with her family.